I hate to admit it, but I want a stylus. As I watched Samsung unveil the Galaxy Note 8 at the Park Avenue Armory in New York City on Wednesday, I couldn’t help but think about the upcoming iPhone 8. But it wasn’t the similarities that caught my attention—the barely-there bezels, thin frame, virtual home button, glass back, dual camera—but rather the stark differences between the two. 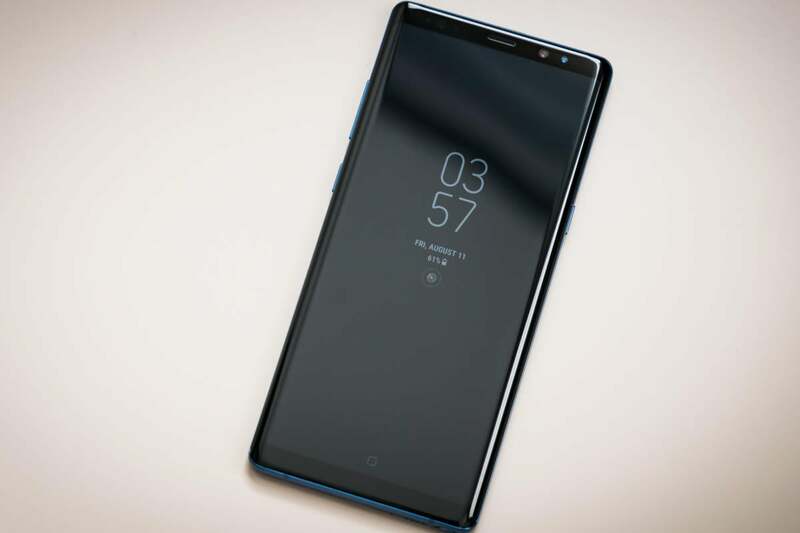 The Note 8 and iPhone 8 will both be marketed as do-everything phones, the latest culmination of technology and design that puts tremendous power in your pocket and lets you seamlessly switch between work and play. You’ll see commercials that tout the various capabilities of the camera, the design of the screen, and the numerous new things your phone can do. But only one of those phones will be a true productivity device, and it won’t be the iPhone 8. Earlier this year, Samsung introduced the category of the so-called “super” phablet with the 6.2-inch Galaxy S8+. But it’s not just the size that makes it super. For the first time, Samsung adopted an 18.5:9 ratio (essentially 2:1), making the phone easier to hold and subtly increasing the vertical viewing area (and thus cutting down on how much we need to scroll). The display on the Note 8 is 18.5:9, which lets you comfortably run two apps side by side. It’s not unlike how Apple moved from a 3:2 ratio to a 16:9 one with the iPhone 5. It wasn’t a dramatic change in screen size but it made a huge difference in the way we used our apps. The 16:9 ratio sparked a whole new generation of apps, changing how information was presented on the screen and making our apps richer and more powerful. By comparison to the 6.3-inch Note 8, the rumored 5.8-inch iPhone 8 will seem small, but the ratio will make it look downright antiquated. It’s not just that the Note 8 packs a bigger package that’s as easy to hold as a far smaller handset, the size and ratio makes it better to work with two apps at once, a feature that isn’t even available on the iPhone yet. Multi-window support is so great on an 18:9 screen that Samsung even lets you create shortcuts on the Note 8 that automatically launch two apps at the same time. It’s a level of a productivity that just isn’t possible on the iPhone, and I don’t see the iPhone 8 changing that. The whole reason for the Note’s existence is productivity. Year after year it’s reliably been Samsung’s largest-screened device and the only one that has a slot for the S Pen—Samsung’s stylus—right on the bottom of the device. The S Pen is the Note 8’s greatest advantage. Apple fans like to scoff at the smartphone stylus like Steve Jobs did, but the Apple Pencil for the iPad Pro has shown us just how useful it can be. 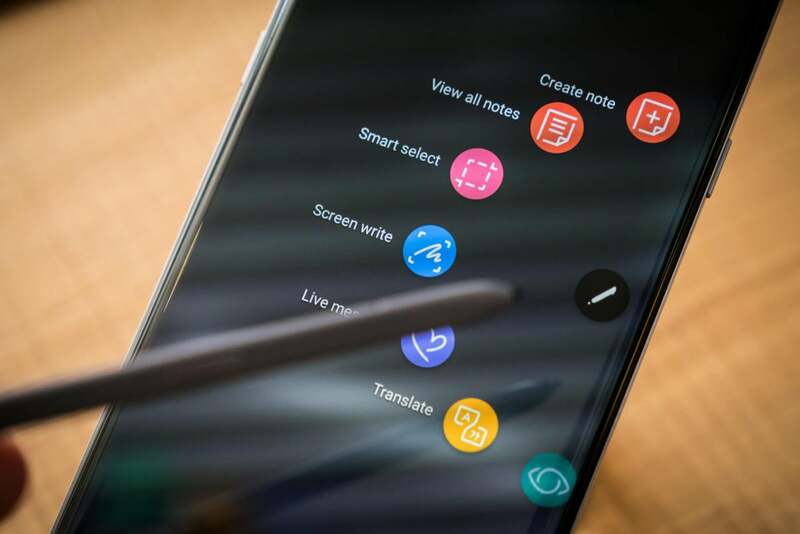 The S Pen’s best use is for screen-off memos, which let you write, save, and edit notes without needing to turn on the screen, but there are all sorts of uses for it. It’s the main thing that separates the Note 8 from the Galaxy S8+ (and the rest of the premium Android phablets), and its inclusion truly puts it in a class by itself. The lack of Pencil support isn’t necessarily holding the iPhone back, but the addition of it—especially in the form of a miniaturized version that could attach to the device—would greatly increase its productivity benefits. As it stands, the iPhone is a great business device, but that’s mainly due to its chip and app support. There’s nothing about the iPhone that specifically caters to power users the way the iPad Pro does, and a cool new design and wireless charging aren’t going to do it. But even if you never take the S Pen out of its holster, the Note 8 is a far greater productivity tool than the iPhone. There’s the micro SD card slot for expanding storage and keeping sensitive files safely secure. Samsung Knox that lets you set up encrypted workspaces to silo apps and data. And an array of biometrics gives users the freedom to secure their device in a variety of ways. The DeX dock turns the Note 8 into a full-fledged desktop computer. But the killer new feature for power users is DeX support. Samsung introduced its docking station with the Galaxy S8, but it’s been supercharged on the Note 8. Not only do you no longer have to struggle with Bluetooth pairing after the phone has been docked, app support and continuity have been greatly enhanced. 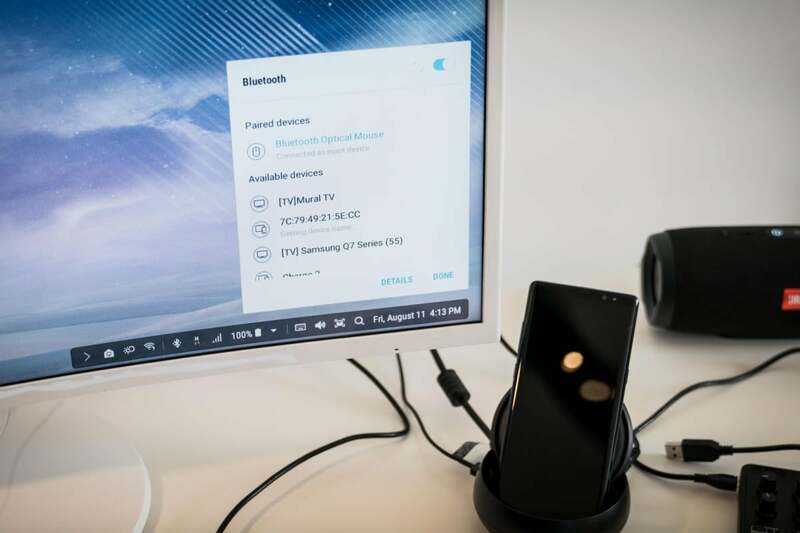 Samsung demonstrated it using the Zoom video conferencing app, and the phone dynamically switched to the larger screen without dropping the call and allowed for simple screen sharing once connected to the dock. Of course, Apple offers a bare-boned version of this with Handoff on the Mac, but with DeX there’s no need to worry about losing a connection between two devices. The Note 8 is the computer, and it blows away anything you can do with iOS. Plug in a Note 8 and you get a full desktop powered by your phone, with resizable, optimized apps. It’s as if you could expand your iPhone to the size of an iPad at the push of a button. Now, the Note 8 probably isn’t going to lure away the tens of millions of eager iPhone 8 buyers, but Apple shouldn’t ignore the things Samsung is doing to balance work and play. It’s not that you can’t do serious work on the iPhone, it’s that you can work better on the Note 8. And that’s not going to change if the iPhone 8 doesn’t bring more than a new bezel-less design. Take Bixby for example. While Samsung’s voice-controlled AI assistant has only been available in the U.S. for a couple of months, Samsung is already thinking in broader terms than Apple is with Siri. On the Note 8, you can set Bixby quick commands that let you launch voice-automated workflows for executing complicated tasks. For example, you can set a nighttime action that will silence your phone, deactivate notifications, turn on the alarm, and toggle the Blue Light Filter. That’s way more useful than asking Siri to turn off the lights. Like every new iPhone, the 8 will be the best handset Apple has ever produced, and its design will no doubt inspire a galaxy of imitators. 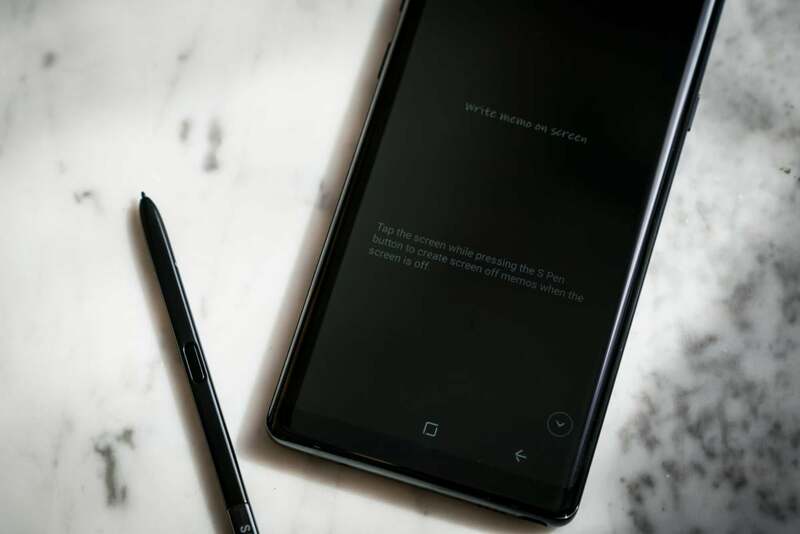 But without some new productivity features and Pencil support, it won’t quite be able to live up to the Note 8’s high standards.